It is the largest independent public register of fitness professionals in the UK and also works closely with The International Confederation of Register of Exercise Professionals (ICREPs). This is to monitor global standards and to ensure the UK is compliant and working in line with these developments, on an international level. It’s main objective, in my humble opinion, is to provide credibility and professionalism to an industry which historically, has an image of lacking these important qualities. There is a clear framework of membership levels which provides an understanding to the calibre of all individual members. This framework also provides a clear path of development with the aim of increasing motivation, and the skill set, of members thus raising standards generally. Members usually join at Level 2 and can work their way up the levels as they gain experience and get the relevant qualifications. 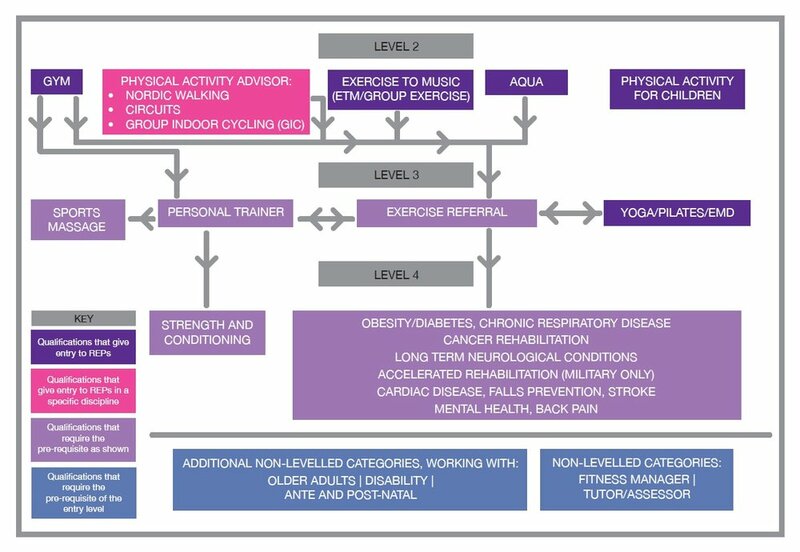 All these levels all underpinned by qualifications. See below for an overview of all the different areas that are applicable within the entire industry. I hope this has shed some light on why REPs is such an important body with the health and fitness industry. If you’d like to know more you can find the information on the REPs website or, as always, please send me an email - neil@neilsymington.com and I’ll be happy to answer your questions.